Once in a generation, a musician appears who redefines an instrument's capabilities and takes it out of its comfort zone. We are drowning in a sea of ‘fastest players’ on YouTube, gathering millions of hits on their videos. These are usually minor tremors in an instrument's established core. Some artists create a complete seismic shift in the culture of their instrument. Allan Holdsworth did it on guitar, Charlie Parker did it on the saxophone and Béla Fleck has done it on the banjo. His music with The Flecktones and performances with artists such as Chick Corea has redefined the banjo in the modern era and given the instrument new avenues of repertoire and genre. 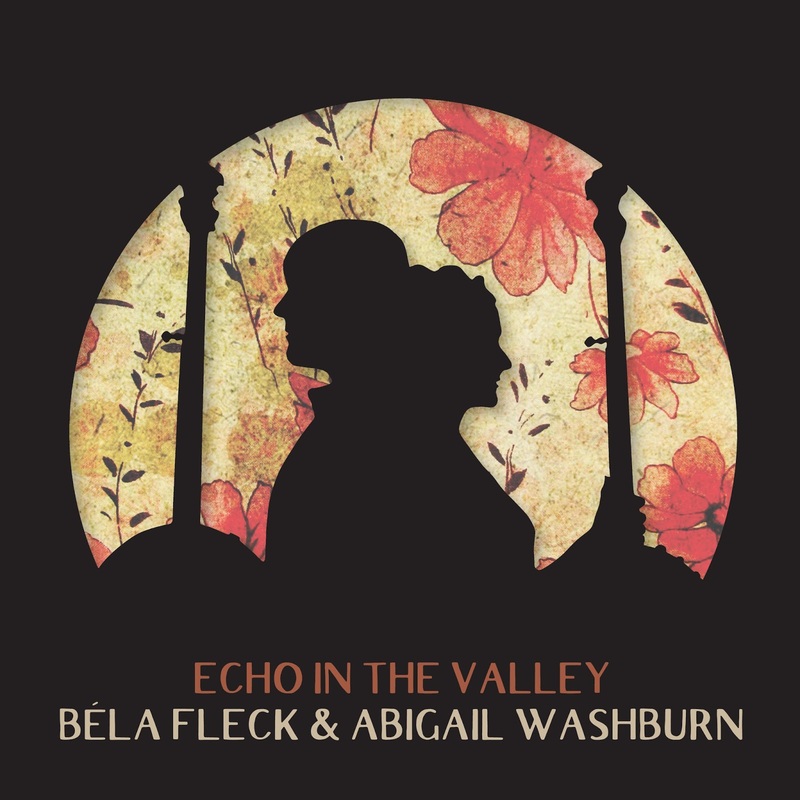 Echo In The Valley sees Fleck join forces with fellow banjo player and vocalist Abigail Washburn. The album is the follow up to their critically acclaimed debut and the music is arranged so that it is reproducible in a live setting. Some may be questioning why a review of this album is appearing on a jazz blog. It would be difficult to categorise the music as jazz, even if Fleck does have a pedigree in the genre. However, one thing that really strikes you when listening to this album is how folk music, blues and jazz are all so closely related that when they are performed with such confidence and consistency of sound, separating them seems almost vulgar. The two banjoists take the listener on a journey that floats down a stream of styles and moods. Contrapuntal picking brings the album to life, taking the fundamentals of bluegrass but colouring them with discordances and atmospherically distant vocals. Take Me To Harlan has a soulful groove where one banjo leaves space for a percussive beat. The melody and progression hint at Billy Taylors’ much covered classic I Wish I Knew How It Would Feel To Be Free. Washburn’s vocals are a subtle middle finger to the X Factor generation. There is no belting out chorus lines or vulgar vibrato. Instead the lyrics pull at the heart strings with a beautiful delicacy, achieving a response through the sincerity of their delivery. Much of the material on the album has a sound that is uniquely American. The distorted slides and baron feel of Don’t Let It Bring You Down immediately evokes images of rolling fields leading to a great, impenetrable vastness. But it is this sense of being uniquely American that actually makes it uniquely universal. Much of the American DNA is rooted in the people who emigrated or were brought to the country over centuries and, therefore, the music is music of the world, yet it could only have formed in the USA. Nowhere on record is this more evident, or more gracefully presented than on Echo In The Valley.